Do you get stressed out and overwhelmed eating at a buffet? With holiday and travel season approaching, many of us end up eating at buffet style restaurants and pot-luck dinners this time of year. Instead of feeling that buffet burden, I want to share my strategy for buffet bliss! I’ve been eating at buffets twice a day here in Hawaii. Today, while standing in line I started asking the other women how they felt at buffet meals. Overwhelmingly they said that buffets were HARD. Top reason? They can’t be the first one up cause that’s no good; but fear of missing out won’t let them go last either – what if nothing’s left? They have to pick the ‘right’ balance of foods (what is that anyway.) They have to choose what they ‘should’ be eating – not too many carbs, sweets, meats…whatever their food rules dictate. Can’t pile the food too high…but what about seconds, is that okay? So, I figured that I could share my buffet strategy with you today. Instead of the buffet burden, let’s go for buffet bliss! Take a look at everything on the buffet first. Do a walk through. See what interests you. 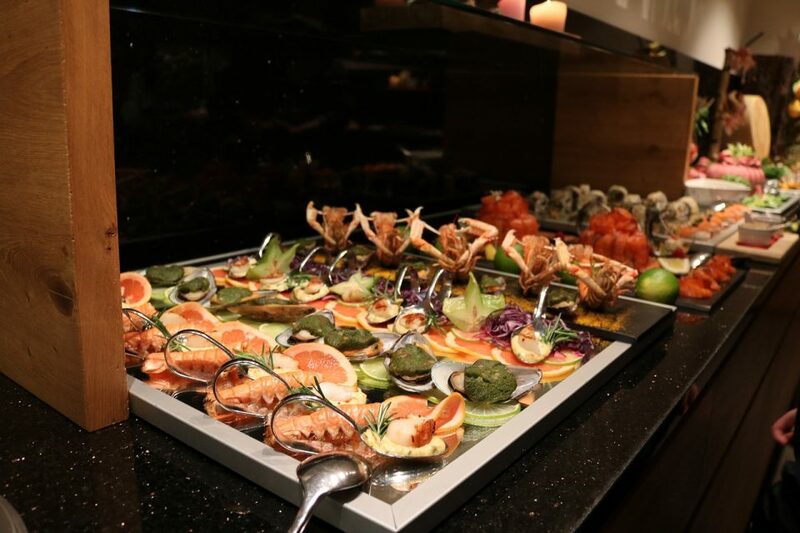 Buffets are a great way to try things that you otherwise wouldn’t order. Get a selection of everything that looks appealing. Taste, I mean really taste, everything on your plate. Not awesome? No worries. Move on to your next selection. Delicious? Wonderful. If you’re still hungry after this plate, go grab more of what you loved or at least add it to your “I like that” food list. Buffets don’t have to be anxiety riddled experiences. Instead it can be a wonderful food experiment to try out new flavours.